Here's hoping everyone is enjoying their Halloween! Like we do every year, the Husband and I signed up on a list to hand out candy to trick-or-treaters in our building. Our building management makes a list like this so that only the people who want to be bothered with handing out candy, get bothered. I grew up in the suburbs, where you left your outside light on to indicate your availability to hand out candy. If you turned off your light, people knew not to approach your house. Here, of course, it's slightly different in a big city high-rise building. So we put our names and apartment number on the list. Just now, I was in the bedroom and the Husband was sitting in the living room. He'd just come home from a long day of working, and was relaxing. The doorbell rang. The Husband yelled out to me, "Can you get the door? I'm not wearing any pants!" I'm pretty sure the kids and their parents heard! I'm totally mortified. This is how you get to be "that creepy couple on the 10th floor." Over the weekend I went out for a Ladies Night with some other women from my martial arts school. We went downtown and had dinner in an uber-trendy restaurant, followed by cocktails in an even more uber-trendy bar. Everyone in my group, except for me, was a black belt. A couple of us were married, but the rest were single and in their early to mid-30s. While at the bar, we were standing around when we became aware of two middle-aged (in their 40s) men standing next to us, loudly discussing a date that one of them recently went on. "Yeah, it went ok," the man said. "It started off well, but then, I found out that she's actually 34!" "Oh, no! Dude!" exclaimed the other man, shuddering. "Yeah," replied the first man. "And after I found that out, I wanted to get out of there. But I still had to pay, like a hundred and twenty bucks for dinner!" We all had to exit the bar quickly, lest we start beating up these guys. Because as we've all learned, martial arts are for DEFENSE only. Not for overpowering scrawny men who piss us off. I know that yoga is all the rage now. Yoga has lots of beneficial effects - it improves flexibility, it regulates breathing and reduces blood pressure, it makes you feel young. But I have always preferred Pilates. Pilates, named after its developer Dr. Joseph Pilates, is a form of exercise combining elements of yoga and gymnastics. I enjoy Pilates because the exercises strengthen my muscles and flexibility, and there isn't any of that spiritual aspect that I know a lot of people love about yoga, but that, frankly, doesn't resonate with me. I'm so into Pilates, that I've incorporated Pilates exercises into my martial arts. I'm so into Pilates, that sometimes I find myself doing Pilates at my desk at work. 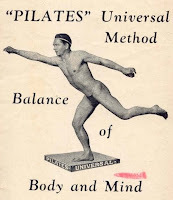 I'm so into Pilates, that while reciting the Nicene Creed at mass last Sunday, I accidentally chanted, "He was crucified under Pontius Pilates." Woops! I think I'm supposed to go to confession for that. Or at least feel a great deal of Catholic guilt. Which I'll then calm down about, by doing some Pilates. I took the day off today! It is a federal holiday - Columbus Day. But not everyone gets today off. In fact, I've never had Columbus Day off as an official holiday since I've been a working stiff. But this year, I took the day off!! Coming from a person who hasn't had a day completely without work (including weekends) since July, I'm not quite sure what to do with myself. So far today, I slept late, went for a run in Central Park, and went through some old DVDs, to decide what to do with them - keep them, toss them, donate them, etc. The Husband is addicted to his kung fu movies. It's been difficult to pry them away from him. He also wouldn't let go of his copy of The Last Seduction. Even though he's no longer a horny 19-year-old, and the wisdom of time and age have convinced him that Linda Fiorentino is, in fact, not that hot. "Why do you need to hang onto this movie?" I asked, puzzled. "It's important art!" he insisted. "You just don't undertand...Besides, it was filmed in upstate New York, where I went to college. So I have to keep it! For cultural reasons!" 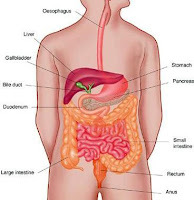 Last week I went to see my GI doctor. It was a routine examination. I had some problems a few years back, and now I go to him once a year to make sure everything is ok. This doctor doesn't have the world's best bedside manner. But he's a famous expert, and the only doctor I've found who has been able to help me with some specific problems. So for the time being, his expertise has been worth his slightly prickly personality. This time, he spent a long time looking at my chart. "Hmmm.." he muttered, while flipping through it. "I see here that you've gained 23 pounds since you first started coming to see me in 2004. That's quite a lot of weight you have gained, isn't it? Do you plan on having kids? If you do, your ob/gyn may not be happy about all of that weight gain." (3) The firm where I was working went out of business almost overnight. As a result of the combination of the above three events, I lost about 30 pounds in two weeks. So yes, I was pretty skinny in 2004. And when you look at it that way, 23 pounds up from a 30 pound deficit over 5 years suddenly doesn't look so bad. And I'm under no illusions about my weight, but I'm pretty sure I'm not obese. I'm what you'd call medium build. The last time I checked, I was a size 6. But like in many situations, I thought of many clever retorts after the appointment. At the time, I wasn't quick enough to think of a response. So back to the appointment. As I stood there speechless, he quickly scribbled something on a piece of paper, and handed it to me to take to Radiology for a routine ultrasound. "Here," he said. "Take this up to the fourth floor and schedule a time for the ultrasound. The elevators are out the door and to the right." He thought for a moment, and then said, "Actually, maybe it's better if you get a good workout and take the stairs!" Maybe the dead weight I need to lose is one GI doctor?